The January transfer window is open, and it appears the clamour for Manchester City striker Mario Balotelli has started in Italy. Napoli are the latest club to express an interest in the Italy international, with club president Aurelio De Laurentiis dreaming of partnering the forward with Edinson Cavani, who has also welcomed a move for the 22-year-old. Inter, meanwhile, claim to have first refusal for their former striker, and will exercise the right to bid if Manchester City choose to sell. 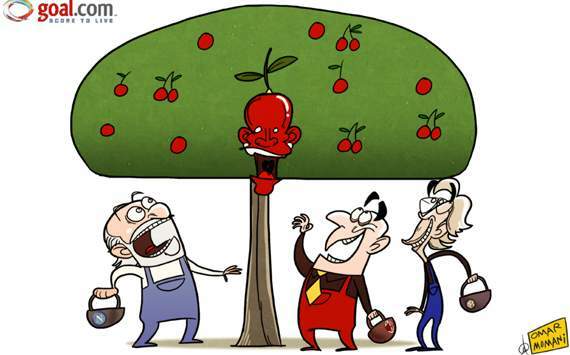 AC Milan president Silvio Berlusconi may have described Balotelli as a “rotten apple,” recently, but there is no shortage of suitors aiming to cherry-pick the Italy international.